About a month ago my friend Tedi Patterson told me about The Garden of Innocence by the Sea, a non-profit organization that she has worked with in the past. It really got me thinking about what I could do to make a change in the world. This weighed heavy on my heart and I quickly came to the realization that I would be making quilts for these babies. Each quilt is only an 8 inch square. The ashes are wrapped in one of these quilts before they are placed in a burial urn. I’ve asked my friends at the Valley Modern Quilt Guild to help me make as many blocks as possible. 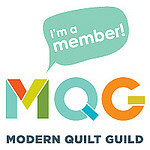 And, this next week I will be asking my friends at Ventura Modern Quilt Guild to help as well. My father is a wood-worker and he is going to assist me with the urn construction. I realized that with all the strife in the world right now…mass shootings, fires…it’s very important for me to help in any way that I can. My goal is to have 200 of these quilts by Christmas time this year. The video below contains more information about The Garden of Innocence. Please watch it…thank you. Thank you for sharing this with both of your quilt community. I know you will meet your goal by Christmas! And thank you to your father, too. He raised a fine man!